• Take your medicines properly. • Continue with your everyday normal activity. • Surround yourself with people who will make you feel relaxed and happy. • Do not do anything which you are not comfortable with. This will help to avoid self-blame if the IVF cycle did not succeed. • Do not use sauna, hot tubs ( you can have showers !) or do any vigorous activity (like strenuous exercise) which could raise your body temperature. • Don’t change your diet drastically. • Do not restrict your daily activity-do not take bed rest ! • Do not raise your hopes too much – have realistic expectations ! • Avoid people who can raise your insecurity and stress levels. Can I fly home straight after embryo transfer ? Yes, you can travel immediately after embryo transfer. Air travel or any other mode of transport has not been shown to affect embryo implantation , and it will not affect your chances of achieving a pregnancy. Take measures to make yourself comfortable during air travel – keep yourself well hydrated and move frequently to enable proper blood circulation. What if I bleed after the embryo transfer ? Why did I feel a wet discharge after the embryo transfer ? During embryo transfer , the doctor cleans your vaginal canal and the cervix with a sterile fluid. When you get up after the embryo transfer you might experience a wet feeling, because this fluid leaks out. Do not panic – this doesn’t mean that your embryos are being washed out ! The fluid that comes out is not from your uterus. Your embryos are transferred inside your uterus in a tiny droplet of culture medium , which cannot flow out – your embryo are safe in your uterus ! 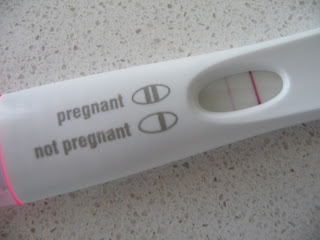 I am exactly 4 weeks pregnant today and I got my BFP+ test 13 days past ovulation!! (dpo) Implantation may have occured on 9dpo, but the hcG is only strong enough to be detected 3-4 days after implantatiin. Still, that is is using a first response sensitive preg test. Using an ovulation predictor kit truly helped me finally pick up the lh surge to with leads to ovulation 12-36 hours later. Definitely understand cervical mucus to give you a better estimate of the time of your ovulation. My symptoms: weird belly cramps below belly button, lower adnominal cramps, lower back cramps, increased sense of smell, frequent use of restroom, constipation, little acne, exhaustion as if I ran a marathon, and slightly larger breasts but "Not sore breasts".